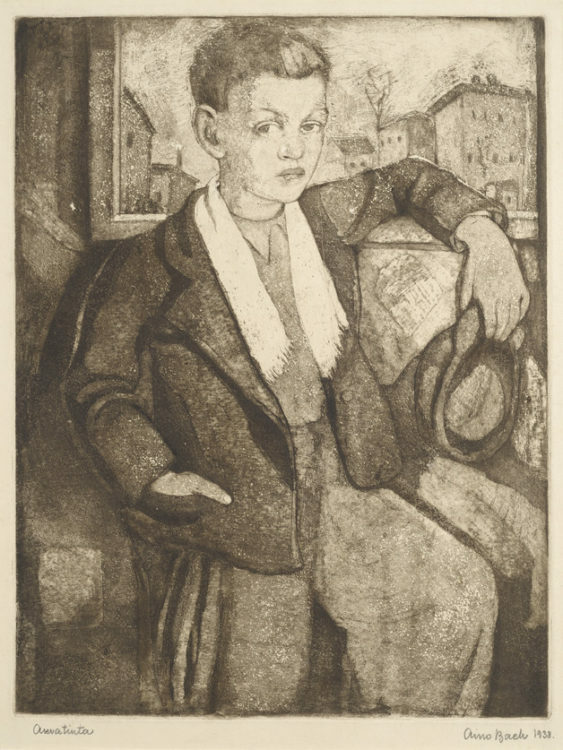 After a childhood spent in Narva (1907-1915), Aino Bach went to secondary school in Omsk, in Siberia, before returning to Estonia in 1921. In 1923, she was admitted to the Pallas Art School in Tartu, where she first studied painting under the supervision of Nikolai Triik, followed by engraving under the supervision of Ado Vabbe. 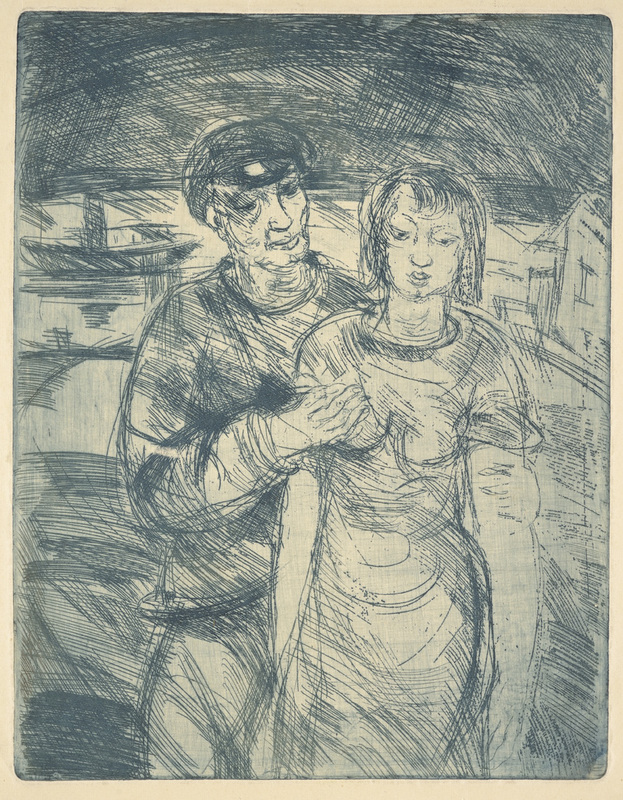 In 1931 she married the painter Kaarel Liimand, whose socialist ideas she shared. 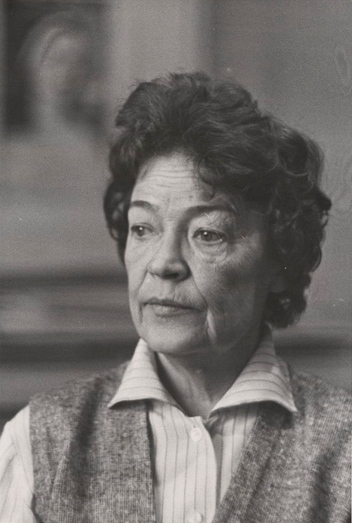 During the first Soviet occupation of Estonia (1940-1941) she played an active part in the reorganization of Estonian artistic life. 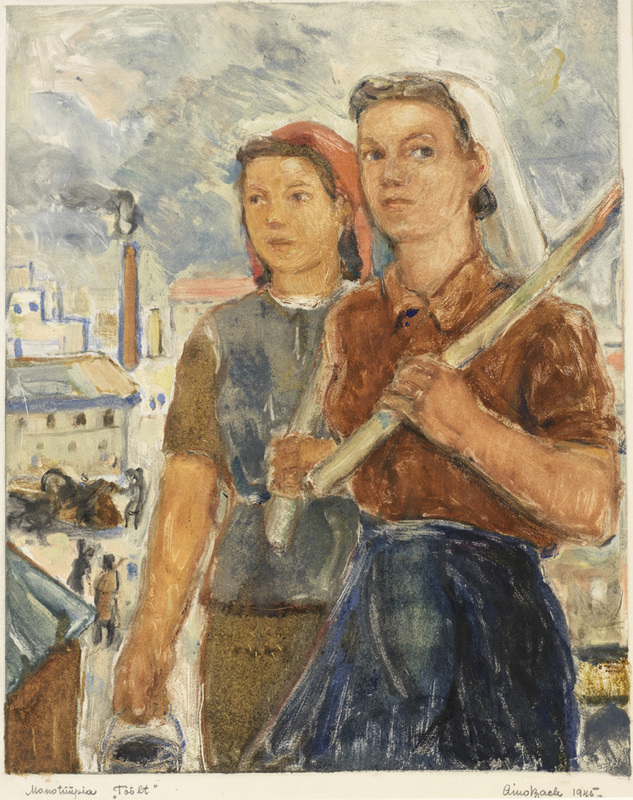 During the German occupation (1941-1944), she lived in exile in the Soviet Union, in Yaroslav, where she took part in the activities of a collective of Estonian artists. In 1946, she settled in Tallinn. 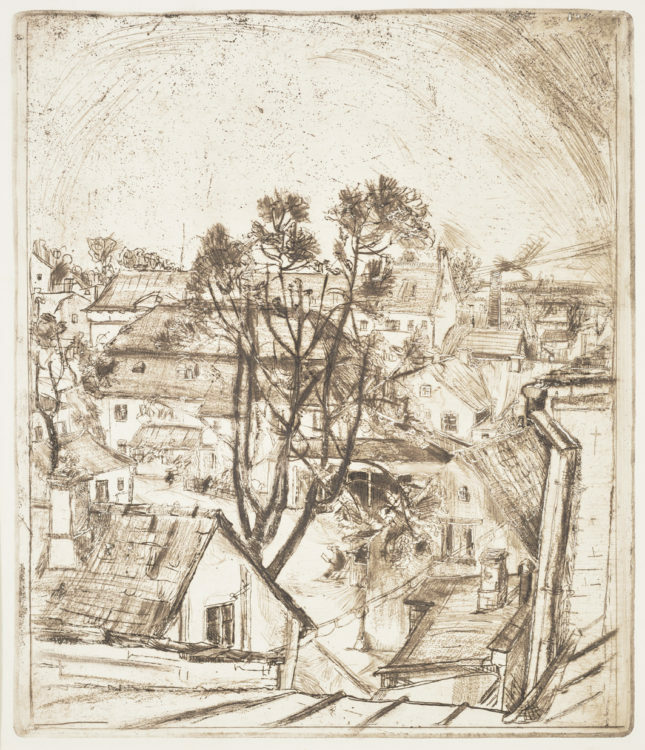 As the first Estonian engraver, Aino Bach displayed a technical virtuosity which helped to broaden the expressive possibilities of Intaglio engraving. 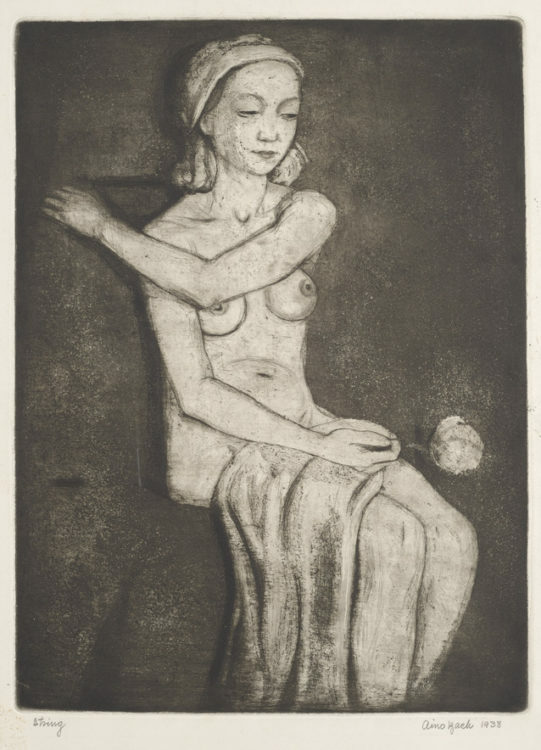 Using a marked grain and playing on contrasts and transparency, her aquatints are hallmarked by a great wealth of nuances and an original style (Ema lapsega, “mother and child”, aquatint, 1937. 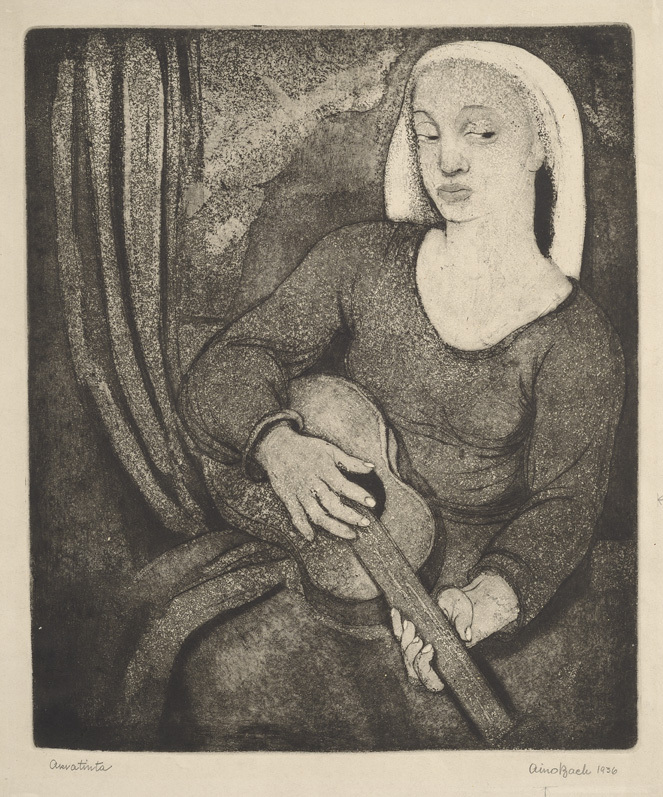 She also practiced metal point engraving, etching, and coloured monotype, often mixing several techniques in one and the same work, in particular metal point and aquatint (Naine peegliga, “woman with mirror”, 1937). Her favourite subjects were portraits of young women and children, as well as female nudes. 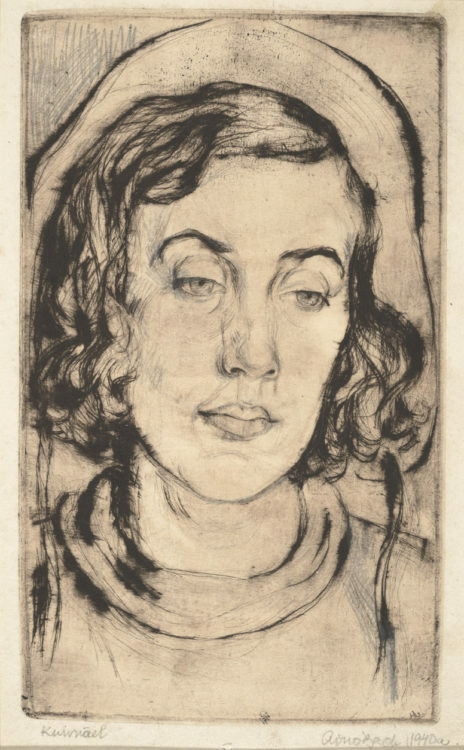 In apparent contradiction with the active role she played in the artistic and social life of her day, her works reflect a very traditional vision of women and femininity. She produced illustrations for many books. Her style can be described as poetic realism, even if, in the 1940s and the 1950s, she had to make certain concessions to a more academic Socialist Realism.